I am planning to buy a Tablet PC as my lap top got greyed out. But I am in confusion whether to buy Samsung Galaxy Tablet or iPad 3. 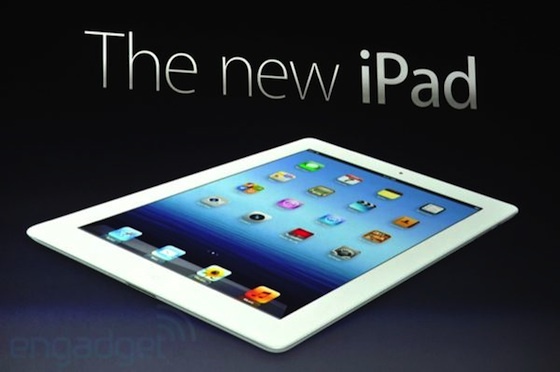 What are the benefits of iPad 3 over Samsung Galaxy 680 Tablet? *APPle ipad3, wiith a resolution of 2048x1536 pixels on a 9.7-inch IPS LED-backlit display, you can expect outstanding imagery with a pixel density of 264ppi (pixel-per-inch).It would be safe to declare that it is the best quality display available out there.Samsung's 10.1-inch PLS TFT offers you a resolution of 1280x800 pixels and a 149ppi pixel density. *Ipad3 uses a 11666mAh battery whereas SGT uses a 7000mAh battery.. Both however employ 1GB of RAM. * iPad runs on iOS(5.1) whereas Samsung is powered by Android(4.0) with TOUCHWIZ. 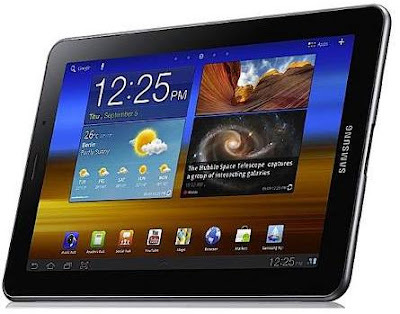 *Samsung has 1GHz dual core Cortex-A9 ARM, which performs fairly well on easy navigation as well as taxing applications. Apple as usual has the A5x processor.Although it is still a dual core, you will hardly get a chance to complain as it supports quad core graphics and amazing speed. *Samsung has a 3.15-megapixel LED flash primary shooter with a resolution of 2048x1536 pixels.It however coaxes us a bit by bundling up some handy features like autofocus, geo-tagging, video capture capability at 1080p and a VGA secondary. On the other hand Apple has new iPad with the iSight camera, which is along the lines of its latest iPhone setup. The impressive 5-megapixel shooter incorporates autofocus, auto-exposure, backlight-illuminated sensor (BSI) and stabilisation for both video and still image. It allows video capture at 1080p. In the tablets market none can compete with the Apple's ipads. If we consider any kind of features ipad stands at some higher level. 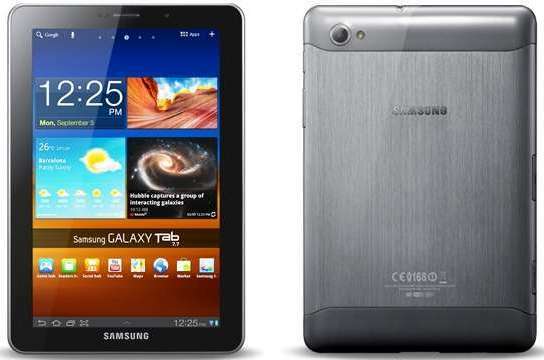 The following are the some of the difference between the ipad and Samsung Galaxy 680 tablet. Android os v3.2 for Samsung tab. Rs:28,500 for samsung galaxy 680. It has a 3mega pixels camera,immobile. APPle ipad3, wiith a resolution of 2048x1536 pixels on a 9.7-inch IPS LED-backlit display, you can expect outstanding imagery with a pixel density of 264ppi (pixel-per-inch).It would be safe to declare that it is the best quality display available out there.Samsung's 10.1-inch PLS TFT offers you a resolution of 1280x800 pixels and a 149ppi pixel density. *Ipad3 uses a 11666mAh battery whereas SGT uses a 7000mAh battery.. Both however employ 1GB of RAM. Here is the full comparison between SAMSUNG GALAXY 680 TABLET and iPAD. Just go the URL given below and you will have the detailed information about the two devices. Samsung 680 tablet is android device,but ipad is ios device. It is 3 megapixel camera.Ipad is 5 megapixel camera. Bluetooth for samsung 680 tablet is 4.0,for ipad is 3.0. In this both are totally different these are comparsion between samsung galauxy 680tablet and ipad3:ipad3:1.ipad 3 having bluetooth version is 4.02.it is 5mega pixel camera.3.it is support internet browser.4.high resoultionsamsung galaxy 680 tablet:1.it is the 3mp.2.blue tooth version is 3.03.low resoulition.4.it is support internet browser. -->Ipad3 uses a 11666mAh battery whereas SGT uses a 7000mAh battery.. Both however employ 1GB of RAM. -->iPad runs on iOS(5.1) whereas Samsung is powered by Android(4.0) with TOUCHWIZ. -->Samsung has 1GHz dual core Cortex-A9 ARM, which performs fairly well on easy navigation as well as taxing applications. Apple as usual has the A5x processor.Although it is still a dual core, you will hardly get a chance to complain as it supports quad core graphics and amazing speed. Comparison between iPad 3 and Asus Transformer in terms of Productivity?